Need an Orthodox Christian liturgical spear? You have come to the right place! 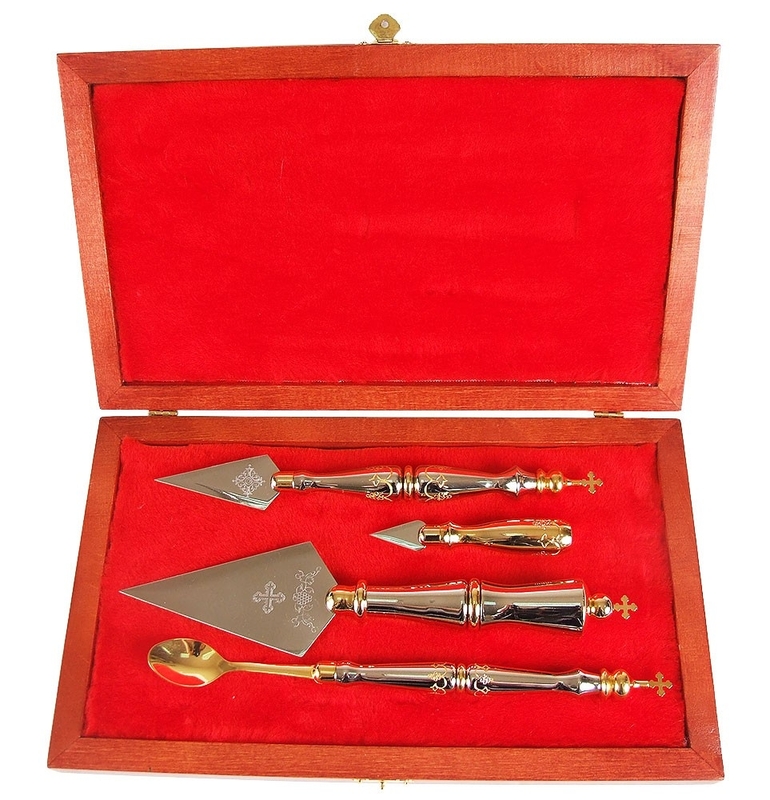 We carry a sizeable collection of liturgical spears in traditional designs and three sizes - small, medium and large. The liturgical spear is a sanctified ecclesiastical implement that is placed on the Oblation Table along with other sacred implements such as the chalice, diskos, and spoon. It is used in the Liturgy of Preparation or Proskomidea for cutting into Prosphora bread for the Eucharist before the public Divine Liturgy. The act of preparing bread and wine for the Eucharist is done solemnly and is steeped in layers of symbolism. While one large loaf of prosphora is used in Greek Orthodox faith, Slavic communities use five small loaves for the Liturgy of Preparation. 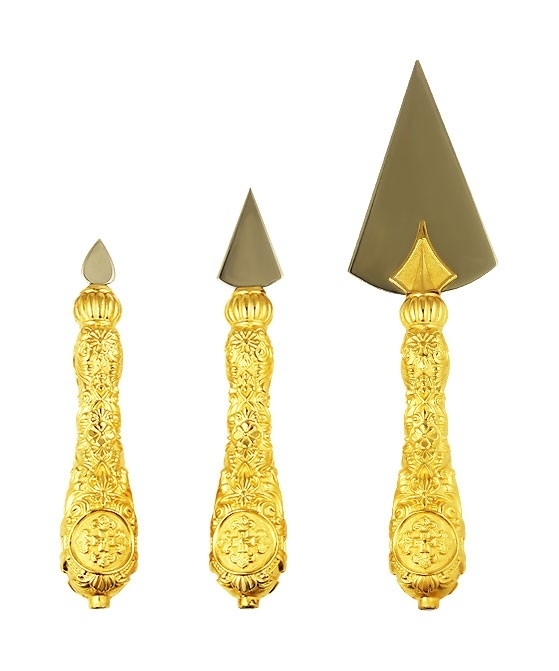 No matter which style of worship you follow, you can select from our small, medium and large sized liturgical spears to fulfill your requirements. Traditionally, a liturgical spear is constructed from precious metal and features a pointed edge as well as a cross at the end of the handle. All our liturgical spears are made from premium materials such as nickel, stainless steel, damask steel, German silver, bronze and brass. Handles are made from quality wood and you can find designs with or without a cross at handle’s end. In our collection, you’ll find designs that feature intricate engravings and other aesthetic detailing. We provide valuable information such as the spear size and product weight to help customers arrive at informed decisions. 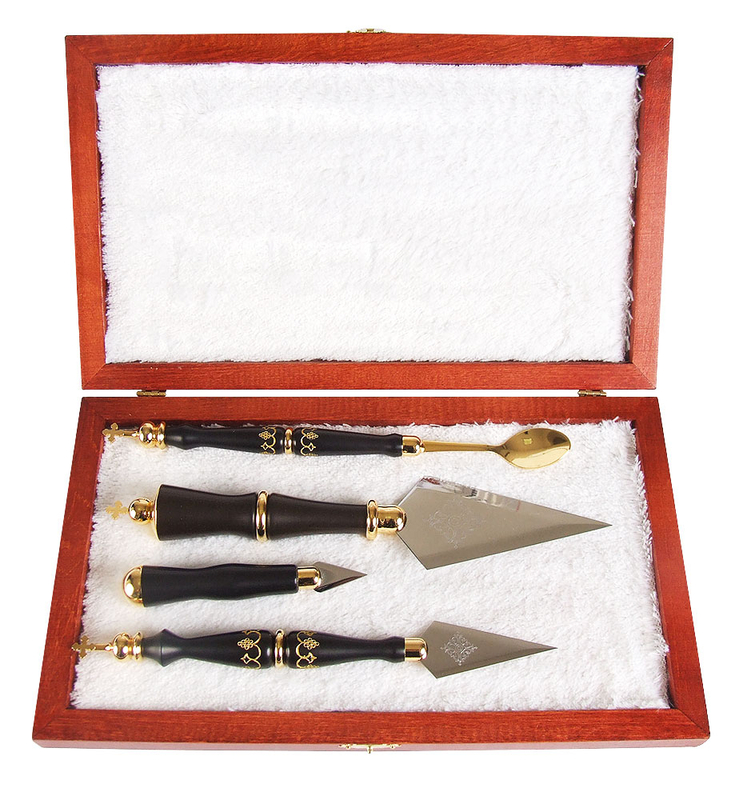 We also offer premium liturgical spears that come with valuable wood and leather cases. 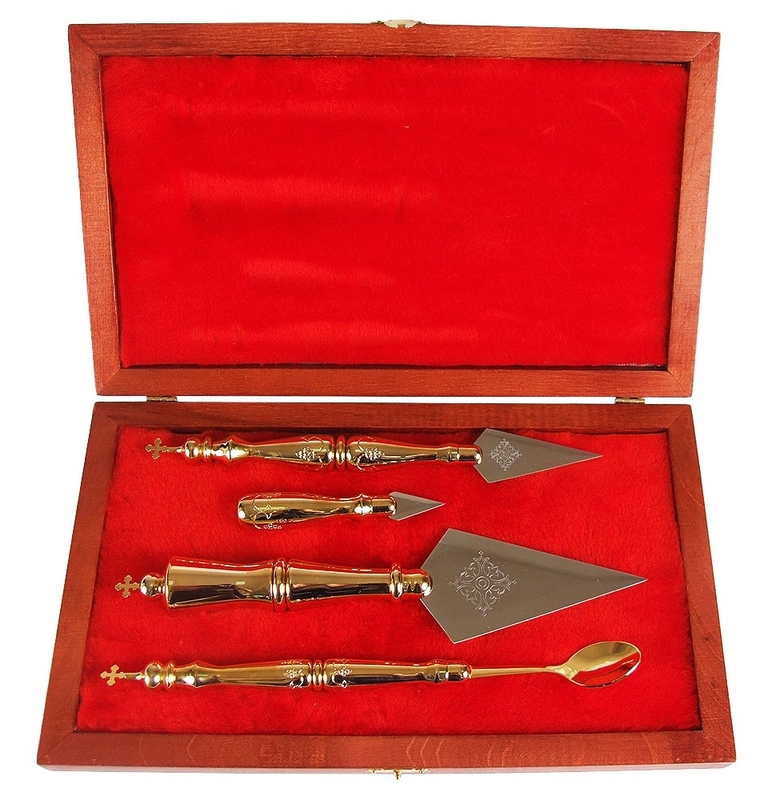 Also on offer are liturgical spear gift sets featuring spears of various sizes and intricate detailing such as engravings and gold gilding. These gift sets are packaged in attractive boxes and are an excellent way to show appreciation for a priest or Bishop. Make Eucharist extra special by investing in one of our best quality liturgical spears that are available at unbelievably low prices!